Last Modified May 25, 2018. Replaces December 14, 2017 version in its entirety. IMPORTANT -- READ CAREFULLY BEFORE USING: This Terms of Service Agreement ("Agreement") is a legal agreement between you ("You") and RealNetworks, Inc. ("RealNetworks") governing Your use of RealNetworks’ websites and services (“Services”) including any software, mobile applications and related documentation (“Software”). By clicking on the "I Agree" button, checking the acceptance check-box, installing, or otherwise using the Services, You agree to be bound by the terms of this Agreement. IF YOU DO NOT AGREE TO THE TERMS OF THIS AGREEMENT, CLICK THE "CANCEL" BUTTON AND DO NOT INSTALL OR OTHERWISE USE THE SERVICES. You also affirm that You are at least 18 years of age or an emancipated minor, or possess parental or guardian consent, and are fully able and competent to understand and assent to this Agreement. In any event You affirm that You are over the age established by the law of your country requiring the consent of a parent or guardian to collect personal information. If You are under such age, You may not use the Services. RealNetworks is a Washington State corporation and You agree that this Agreement is governed by the laws of Washington State and is subject to arbitration per Section 16 below. Further, You agree that the Services are deemed to be based solely in Washington State and that the Services’ websites shall be deemed passive websites that do not give rise to personal jurisdiction over RealNetworks in jurisdictions other than Washington State. 1.1 License. You may access and use the Services provided You comply with this Agreement and applicable laws. 1.2 Separate Charges. Your use of the Services may require a computer or a device with internet access. You are responsible for paying any and all charges associated with such access. 1.3 Simultaneous Log-ins. You are permitted up to 25 simultaneous log-ins to Your account. RealNetworks may change the permitted number of log-ins with notice to You. 1.4 Access to Devices and Third-Party Services. You hereby authorize RealNetworks to access those computers and devices that You select for the purpose of providing the Services to You and in order to carry out the instructions and settings selected by You. You also hereby authorize RealNetworks to access any third-party accounts that You select in order to carry out the instructions and settings selected by You. 1.5 Paid Services. Depending on the level of service You select, Your use of the Service may require the payment of a fee. Your use of any fee-based versions of the Services shall be governed by any subscription terms presented at the time of purchase in addition to the terms of this Agreement. 1.6 Use of Third-Party Services. The Services may allow You to connect to third-party websites, applications and services for purposes of sharing or uploading Your Content. Your use of any third-party websites, applications and services shall be governed by the third-party’s privacy policies and terms. 2.1 Sharing Your Content. As a user of the Services, You may upload content to the Services including photos, videos, likes and comments (“Content”). Some Services may include features that allow You to share Your Content with other users and/or to make it public. We do not monitor or control what others do with Your Content. Therefore, once shared, others might use, copy, modify, re-distribute or publicly share Your Content. You are solely responsible for the consequences of sharing Your Content and it is Your responsibility to communicate how Your Content may be used. 2.2 Ownership. You retain all rights and ownership of Your Content. We do not claim any ownership rights to Your Content. You also affirm, represent and warrant that You own or have the necessary licenses, rights, consents and permissions to the Content You upload to the Services and that You share from the Services. 2.3 License to Your Content. By adding Content to the Services, You grant RealNetworks a non-exclusive, worldwide, royalty-free, sub-licensable and transferable license to use, reproduce, publicly display, distribute, modify and publicly perform Your Content. The license granted herein is for the limited purposes of providing, delivering, and improving the Service or developing new ones. The license granted herein will continue even after You stop using the Services. You may terminate this license at any time by removing Your Content from the Service. However, some copies of Your removed Content may persist on our servers for a reasonable period of time as part of our regular back-up process. 2.4 License to Your Feedback. You are not required to provide RealNetworks with any ideas, comments, suggestions or other feedback (“Feedback”) regarding the Services. However, if You provide RealNetworks Feedback, You agree that it is done so voluntarily. You also hereby grant RealNetworks a fully paid, perpetual, irrevocable, royalty-free, worldwide, sub-licensable and transferrable license to use your Feedback for any purpose including the purposes of developing and improving RealNetworks’ products, services and marketing and to reproduce, publicly display, distribute, modify and perform the Feedback. If we provide Software to You as part the Services, then we grant You a non-exclusive license to install and use the Software subject to the terms and conditions of this Agreement, including but not limited to the limitations set forth in Section 4. Use the Services in an attempt to circumvent technological measures employed to control access to, or the rights in, a content file or other work protected by the copyright laws of any jurisdiction. Any such forbidden use shall immediately terminate Your licenses. 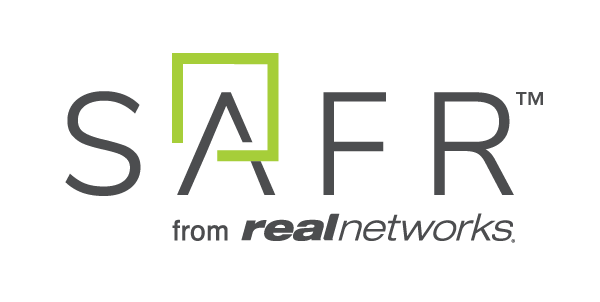 Additionally, RealNetworks has a zero-tolerance policy against child exploitation. If RealNetworks becomes aware of any such content, we will report it to the appropriate authorities. You may terminate the use of our Services at any time by cancelling Your subscription, if any, and uninstalling the Software. RealNetworks may terminate the Services at any time by providing You notice of such termination. For paid Services, the amount of any refund that may be due will be determined by the applicable subscription terms. Additionally, Your rights to access these Services will terminate automatically without notice from RealNetworks if You fail to comply with this Agreement. Upon termination of access for any reason, You shall cease all use of the Services and destroy all copies, full or partial, of the Software. You acknowledge that RealNetworks may remove Content associated with canceled, unused free, or past-due accounts without notice to You. (a) The RealTimes service uses automatic technological methods, such as geolocation tagging, facial detection and optical character recognition, to scan Your Content for compiling RealTimes Stories and suggesting those Stories to You. (b) The RealTimes service offers You the option to tag, search, and sort Your images using RealNetworks' proprietary facial recognition technology. Once activated, the feature will use the facial recognition technology to identify, match, and tag other images in Your media library. You may disable the feature at any time by using the Settings within the RealTimes service, and You may delete the tag history and any corresponding identifying information by selecting the Forget function. Your tag history and any corresponding identifying information will also be deleted if You do not access your RealTimes service for three years. (c) By commenting or liking another user’s Content, You acknowledge and agree that Your comments and likes will not be private and may be visible to other users of the service. If You do not wish for others to see your likes and comments, then please refrain from using this feature. (d) The RealTimes service provides pre-selected and royalty-free audio works (“pre-selected audio works”) and allows You to incorporate them into RealTimes Stories. RealNetworks licenses these pre-selected audio works from third-parties who are the owners of the copyrights. You may not make any commercial use of the pre-selected audio works. (e) The RealTimes service also allows You to incorporate audio works in RealTimes Stories other than the pre-selected audio works made available by RealNetworks. In such event, You represent and warrant that the incorporation of such audio works does not violate any third-party rights and You agree to fully indemnify RealNetworks for any losses resulting from Your breach of this warranty. (f) By attaching the hashtag “#myrealtimes” to Stories that You create using the RealTimes service and by making such tagged videos publicly available on social media sites, You are granting RealNetworks a license to publish those videos on its public facing websites and to re-share or re-post on social media sites. Title, ownership, rights, and intellectual property rights in and to the Services shall remain with RealNetworks. The Services are protected by the copyright laws of the United States and international copyright treaties. PURCHASE OF SOFTWARE THROUGH AN APP STORE IS ALSO GOVERNED BY THE TERMS OF SERVICE OF THAT APP STORE. REALNETWORKS HAS NO RESPONSIBILITY FOR AND WILL NOT BE LIABLE FOR ANY MATTER OR DISPUTE RELATED TO AN APP STORE TRANSACTION. YOU EXPRESSLY ACKNOWLEDGE AND AGREE THAT USE OF THE SERVICES IS AT YOUR SOLE RISK AND THAT THE ENTIRE RISK AS TO SATISFACTORY QUALITY, PERFORMANCE, ACCURACY AND EFFORT IS WITH YOU. TO THE MAXIMUM EXTENT PERMITTED BY APPLICABLE LAW, THE SERVICES ARE PROVIDED "AS IS" AND "AS AVAILABLE", WITH ALL FAULTS AND WITHOUT WARRANTY OF ANY KIND. REALNETWORKS HEREBY DISCLAIMS ALL WARRANTIES AND CONDITIONS WITH RESPECT TO THE PERFORMANCE OF THE SERVICES, EITHER EXPRESS, IMPLIED OR STATUTORY, INCLUDING, BUT NOT LIMITED TO, THE IMPLIED WARRANTIES AND/OR CONDITIONS OF MERCHANTABILITY, OF SATISFACTORY QUALITY, OF FITNESS FOR A PARTICULAR PURPOSE, OF ACCURACY, OF QUIET ENJOYMENT, AND NON-INFRINGEMENT OF THIRD PARTY RIGHTS. REALNETWORKS DOES NOT WARRANT AGAINST INTERFERENCE WITH YOUR ENJOYMENT OF SERVICES OR SOFTWARE, THAT THE FUNCTIONS CONTAINED IN, PERFORMED OR PROVIDED BY, THE SERVICES OR SOFTWARE WILL MEET YOUR REQUIREMENTS, THAT THE OPERATION OF THE SERVICES SOFTWARE WILL BE UNINTERRUPTED OR ERROR-FREE, OR THAT DEFECTS IN THE SERVICES OR SOFTWARE WILL BE CORRECTED. NO ORAL OR WRITTEN INFORMATION OR ADVICE GIVEN BY REALNETWORKS OR ITS AUTHORIZED REPRESENTATIVE SHALL CREATE A WARRANTY. SOME JURISDICTIONS DO NOT ALLOW THE EXCLUSION OF IMPLIED WARRANTIES OR LIMITATIONS ON APPLICABLE STATUTORY RIGHTS OF A CONSUMER, SO THE ABOVE EXCLUSIONS AND LIMITATIONS MAY NOT APPLY TO YOU. TO THE EXTENT NOT PROHIBITED BY LAW, IN NO EVENT SHALL REALNETWORKS BE LIABLE FOR PERSONAL INJURY, OR ANY INCIDENTAL, SPECIAL, INDIRECT OR CONSEQUENTIAL DAMAGES WHATSOEVER, INCLUDING, WITHOUT LIMITATION, DAMAGES FOR LOSS OF PROFITS, LOSS OF DATA, BUSINESS INTERRUPTION OR ANY OTHER COMMERCIAL DAMAGES OR LOSSES, ARISING OUT OF OR RELATED TO YOUR USE OR INABILITY TO USE THE SERVICES OR SOFTWARE, HOWEVER CAUSED, REGARDLESS OF THE THEORY OF LIABILITY (CONTRACT, TORT OR OTHERWISE) AND EVEN IF REALNETWORKS HAS BEEN ADVISED OF THE POSSIBILITY OF SUCH DAMAGES. SOME JURISDICTIONS DO NOT ALLOW THE LIMITATION OF LIABILITY FOR PERSONAL INJURY, OR OF INCIDENTAL OR CONSEQUENTIAL DAMAGES, SO THIS LIMITATION MAY NOT APPLY TO YOU. In no event shall RealNetworks’ total liability to You for all damages (other than as may be required by applicable law in cases involving personal injury) exceed the amount of fifty dollars ($50.00). The foregoing limitations will apply even if the above stated remedy fails of its essential purpose. The Services are intended for use only with properly licensed media, content and content creation tools. You are solely responsible for the legality of the third party content You use in conjunction with the Services and it is Your responsibility to ascertain whether any copyright licenses or other agreements are necessary for Your contemplated use. If so, it is also Your responsibility to obtain any such licenses to serve and/or create, compress, convert, or download such media and content. You agree to record, convert, play back and download only those media and content for which You have the necessary copyright license and other permissions, and/or clearances. You further agree to hold harmless, indemnify and defend RealNetworks, its officers, directors, agents and employees, from and against any losses, damages, fines, royalties, licensing fees and/or expenses (including attorneys' fees and costs) arising out of or relating to any claims that You have (i) viewed, downloaded, uploaded, stored, encoded, modified, converted, compressed, copied or transmitted any media and content (other than media and content provided by RealNetworks) in connection with the Services in violation of another party's rights or in violation of any law, or (ii) violated any terms of this Agreement. This Agreement is personal to You, and may not be assigned without RealNetworks' express written consent. Technical support is described at RealNetworks’ technical support website: http://support.real.com/. 14. EXPORT AND COMPLIANCE WITH LAWS. You may not use or otherwise export or re-export RealTimes except as authorized by United States law and the laws of the jurisdiction in which RealTimes was obtained. In particular, but without limitation, RealTimes may not be exported or re-exported (a) into any U.S. embargoed countries or (b) to anyone on the U.S. Treasury Department's list of Specially Designated Nationals or the U.S. Department of Commerce Denied Person's List or Entity List. You represent and warrant that You are not located in any such country or on any such list. You also agree that You will not use RealTimes for any purposes prohibited by United States law. 15. U.S. GOVERNMENT END USERS. RealTimes and related documentation are "Commercial Items," as that term is defined at 48 C.F.R. §2.101, consisting of "Commercial Computer Software" and "Commercial Computer Software Documentation," as such terms are used in 48 C.F.R. §12.212 or 48 C.F.R. §227.7202, as applicable. Consistent with 48 C.F.R. §12.212 or 48 C.F.R. §227.7202-1 through 227.7202-4, as applicable, the Commercial Computer Software and Commercial Computer Software Documentation are being licensed to U.S. Government end users (a) only as Commercial Items and (b) with only those rights as are granted to all other end users pursuant to the terms and conditions herein. 16. ARBITRATION AND DISPUTE RESOLUTION. PLEASE CLICK HERE TO SEE THE ARBITRATION AND DISPUTE RESOLUTION PROVISIONS, INCORPORATED HEREIN BY REFERENCE. READ THOSE PROVISIONS CAREFULLY. THEY AFFECT THE WAY IN WHICH ANY CLAIM OR DISPUTE BETWEEN YOU AND REALNETWORKS IS RESOLVED. 17.1 DMCA. RealNetworks respects the intellectual property rights of others and expects its users to do the same. In accordance with the Digital Millennium Copyright Act of 1998, the text of which may be found on the U.S. Copyright Office website at http://www.copyright.gov/legislation/dmca.pdf, RealNetworks will respond promptly to notices of copyright infringement provided such notices are submitted in accordance with this section. 17.2 Take-Down Notice. If you are a copyright owner or authorized to act on behalf of one, and you believed your work is being infringed in connection with the Services, please provide a written Notice of Alleged Infringement (“Notice”), containing the elements listed below, via regular mail or fax (not by email or phone) to RealNetworks’ designated Copyright Agent, Cyrus Christenson. (f) Your physical or electronic signature. (e) Your physical or electronic signature. This Agreement shall constitute the complete and exclusive agreement between You and RealNetworks. RealNetworks may modify this Agreement at any time. This Agreement may not be modified by You except in a writing duly signed by You and an authorized representative of RealNetworks. If any provision of this Agreement is held to be unenforceable for any reason, such provision shall be severable only to the extent necessary to make it enforceable and such decision shall not affect the enforceability of such provision under other circumstances, or of the remaining provisions hereof under all circumstances. This Agreement will not be governed by the United Nations Convention of Contracts for the International Sale of Goods, the application of which is hereby expressly excluded. Copyright © 2018 RealNetworks, Inc. 1501 1st Ave. South, Suite 600, Seattle, WA 98134 U.S.A.